Fakhar sits as the Chief Scientist at SenSat, leading Research and Development within the Product team. He has over 17 years’ experience in applied artificial intelligence within spatial data sets, contextual reasoning and pattern recognition. 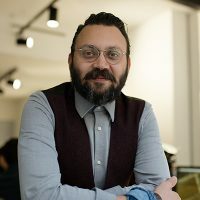 Prior to SenSat Fakhar conducted machine learning implementations at SparkCognition and completed a stint at NASA’s Jet Propulsion Laboratory, Birkbeck, Kings College London and the University of Greenwich where he was also a senior lecturer in GIS and Remote Sensing. Fakhar received a PhD in GIS and Soft Computing based Image Processing at the University of Greenwich, as well as a BSc in Computer Science and a Masters Degree in GIS from the University of Glamorgan. He is a frequent keynote speaker and published academic in the fields of fuzzy computing and machine learning.